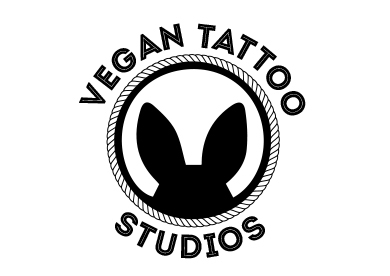 Vegantattoostudios.com is a resource both for vegan artists and visitors that are planning to get a tattoo, and for people who want to explore the artwork featured on the website to give them inspiration for their next inking. Many people often think that finding vegan tattoo artists who use vegan-friendly inks is very difficult, but actually these days many shops and artists offer vegan-friendly inks. However, it can be tricky to find information online about the best vegan artists or shops that use vegan ink, so Vegan Tattoo Studio decided it was time to help build the vegan tattoo community by connecting world tattoo masters, studios and their potential clients. 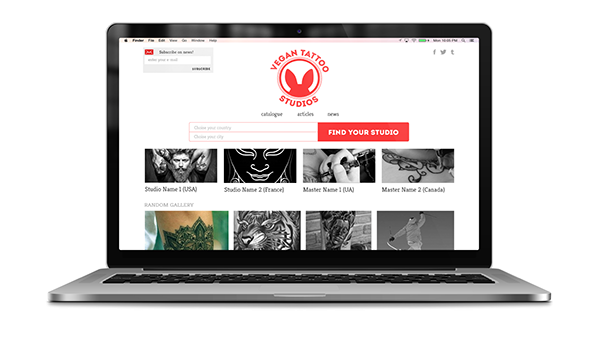 Vegan Tattoo Studio is a free platform that aims to make it easy to find the right master for your future vegan tattoo by making all vegan tattoo artists and studios available to search for in one place – vegantattoostudios.com. The website now has around 200 vegan artists and studios, and they’re adding more everyday! The website also has everything you might want to know about vegan tattooing that differentiates from traditional tattooists, as well as extra information you may need to make your tattoo experience flawless and pleasant. Users can use the ‘Search’ tool to find available studios in their desire location, and can also rate studios and leave reviews to help other users make informed decision about their choice of artist or studio. Speaking about the decision to create the website, founder Olga said the idea to create the website was born few years ago, when she created “Vegan Tattoos” page on Facebook. Olga noticed a growing number of questions asking for recommendations to find a vegan tattoo artist in different areas of the world. She couldn’t find any relevant resources on the web where people could easily find the right artist, so she decided to create one herself. Olga is now planning on opening up an online tattoo shop alongside Vegan Tattoo Studio where customers can purchase a variety of vegan tattoo-related products. Watch this space!